Note from Chris: Superteach (my sister) has started a blog! 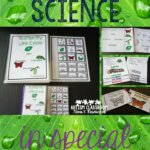 Click here to check out her 35 years of teaching wisdom about teaching kids with autism and all types of disabilities. Also, if you haven’t seen it already, go check out the new special education collaborative blog, A Special Sparkle. 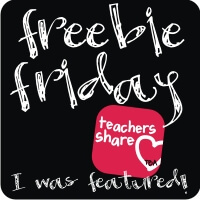 Check out my post earlier this week with tips on reinforcement with freebies! OK, we are coming to the close of the visual schedule series. I have just a couple more things to cover. Regardless of what type of schedule you are using, it is important to teach the student how to use the schedule. There are occasional students who can use the schedule when you present it to them, but most students who haven’t used them before need instruction. 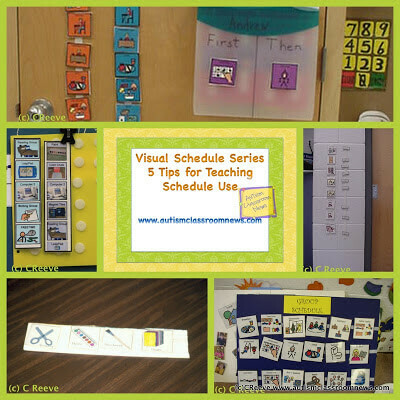 So, here are 5 tips for teaching the students in your classroom to use schedules. Teach one at a time. If schedules are new to all your students or your students aren’t yet independent, don’t necessarily try to teach everyone to use them at one time unless you have 1-1 staff at all the transitions or your staff is really skilled at teaching multiple students. The reason is because you want to build independence in the student, and if you have to jump in and help too soon to move things on, you may end up making them dependent. So choose 1 student for each instructor to facilitate. For the other students give them the visual and transition them as you usually would. When choosing the students to teach first, I typically find it best to choose the students who are likely to become independent fastest. Then they will need less help and you can move on to the next student. Assign responsibility for assisting. It is critical for classroom organization to make sure that each staff member knows who is responsible for teaching the schedule each time it’s used. When we set up a classroom, we create what we call a zoning plan, which is essentially a schedule with assigned responsibilities for each staff member throughout the day. We make sure that we identify who is teaching which student to use the schedule. Then we also have to make sure that everyone assigned that job knows how to teach the student. Otherwise, in an attempt to get the students through the transition, they tend to help too much and the learning doesn’t happen. 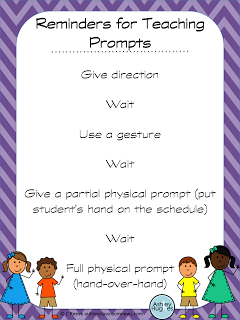 Nonverbal prompts at first then fade them. 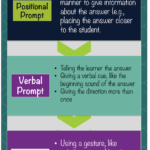 When teaching a student to use a schedule, try to minimize your words and use nonverbal prompts. Tell the student something like, “Check your schedule” and then use pointing, gestures and physical prompts as much as possible. And make sure that you wait after each increasing prompt so they have the opportunity to perform it with that assistance. Once they have the piece in their hands, you could provide some language and narration stating what the schedule says, but avoid giving directions. In other words, try to avoid verbally telling them each step of using the schedule. If you do that, many students with autism become dependent on your verbal directions. Verbal directions are typically harder to fade than nonverbal. And when you are teaching the schedule, wait for the student to be as independent as possible. Use reinforcement. Reinforce the student for increasing independence in using the schedule. Try to set it up so that he or she gets the reinforcer when the transition is over. This increases their independence and makes it more likely that they will make it to the end of the transition. Keep some Skittles or favorite toys in your pockets (I love carpenter’s aprons for this) so you will have them ready to reinforce as soon as he or she drops it in the check-in station. Take data! 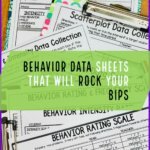 You don’t have to take data on every single transition. However, choose a set of transitions to monitor and take data at least once or twice a week. Use this data to see if the student is becoming more independent. If he or she is not, then you need to problem solve. Maybe the type of schedule isn’t working. 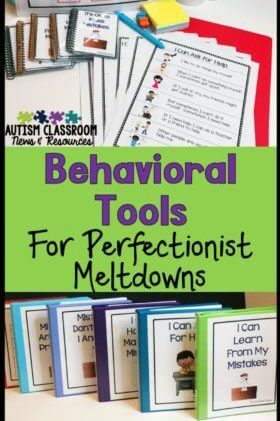 Maybe there is a break down in instruction; or maybe there isn’t enough reinforcement. Whatever you decide the problem is, better to find it sooner than later. The goal is always for the student to use the schedule independently. So, to help remind everyone about how to use a 3-prompt procedure to teach schedules, I have made this cute poster to post near the schedule. Thanks to Ashley Hughes for the graphics! Just click the poster below to download it for free! 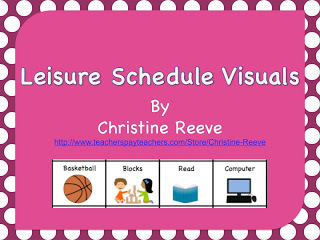 Also, to try out the teaching strategies above, download my FREE Leisure Schedule from my TPT store. It’s great for parents for summer activities and for teachers for leisure skills and for recess. I shared this a few weeks ago, but it has lots of uses! Not a member of TPT, join now! It’s free! And there are lots of freebies on it! And check out more visual schedules in my store below! What tips do you have for teaching students to use schedules? I just found your blog through Manic Monday. What great resources you have. I frequently have students mainstreamed into my class who might need some of the strategies you describe here. Thanks Mary! I'm so glad you find it useful! Just left a comment on your blog! All the content of this site is copyrighted. (c) Reeve Autism Consulting, LLC FONTS: Kimberly Geswein Fonts.